Crafting a DIY tambourine is an amazing, playful, learning activity to do with little ones. 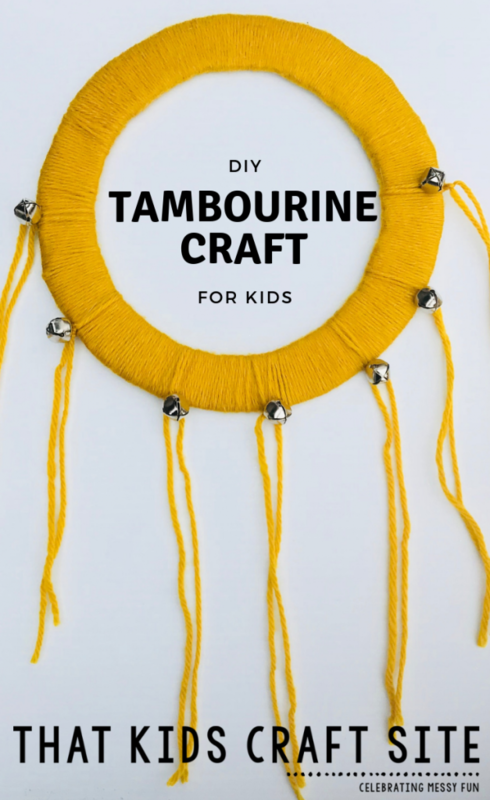 Music is a huge part of our everyday lives and this super simple do-it-yourself tambourine craft is such an enjoyable project for kids of all ages! With a few supplies and a free afternoon, children will be making sweet, sweet music in no time! There are quite a few ways that little ones can create exciting sounds with a homemade tambourine. Did you know that the tambourine is actually considered to be a type of percussion instrument, similar to that of a small drum – what?! Strumming or striking the tambourine with a few fingers (or your whole hand) produces deep tones that can generate a rhythmic beat or a cadence-like pulse. Shaking the tambourine makes a ringing sound that has a higher pitched jingle, creating another distinctive style of musical tones. So there you have it: the tambourine is both a drum and a rattle depending on how you want to play it. Two instruments in one – how cool! With the different ways to work this awesome chiming percussion instrument, children are encouraged to explore music in their own unique way. Making this DIY tambourine craft gives little ones the opportunity to discover a variety of new and interesting sounds while dancing to the beat of their own drum – no pun intended. So let’s get started and gather the materials needed for this musical project. Once we have all the supplies, putting together this homemade tambourine won’t take long at all. When we are done crafting our super awesome percussion instrument, we can finally set the stage (or the living room) for a bit of exciting music making and entertainment. If you want to make the tambourine for a holiday, simply use a yarn color associated with that day or season! Okay, friends, let’s get this party started! Trace a circle on the cardboard using the large bowl as a guide. Using the smaller bowl, make a smaller circle within the bigger circle. Cut out both circles, leaving a circle frame. This is your tambourine. Tie a knot with the yarn around the tambourine frame and continue to wrap the yarn around and around covering the frame completely. Cut yarn and tie off with a knot. Make several strands of yarn by cutting 12”pieces. We needed 7 strands – 1 for each bell. Thread 1 strand into 1 bell (this can be tricky), until each bell is threaded with 1 strand of yarn. Done! Now it’s music making time! 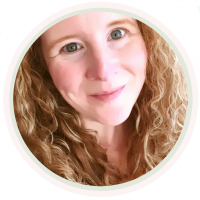 Thump, jingle, shake, and wiggle to create beautiful tambourine music! Print this DIY Tambourine Craft! 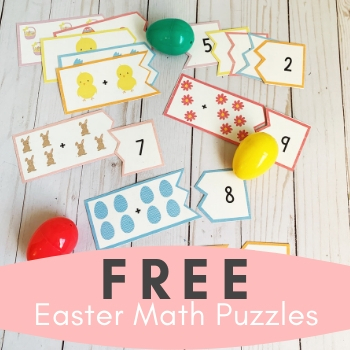 Want to print this craft out to use with your kids or your class? It’s easy! Just click the Print Now button in the instruction card below! 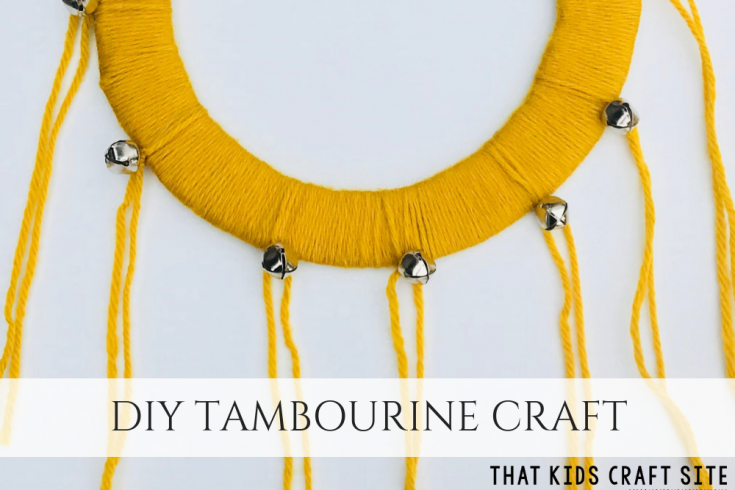 This DIY Tambourine craft for kids is easy and fun to make! Make several strands of yarn by cutting 12”pieces. We needed 7 strands - 1 for each bell. Attach each bell to the tambourine frame using a cow's knot. We tried to space our bells evenly and kept them on only half of our tambourine. Done! Now it is music making time. Thump, tap, shake, and shimmy that tambourine! Did you make your own homemade tambourine? We’d love to see it! 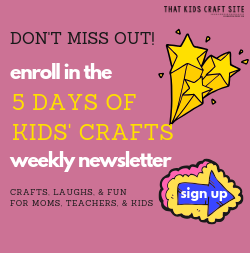 Tag us on Instagram @ThatKidsCraftSite! We can’t wait to see your creations!